Our 6 inch dual action random orbital sander is a great product for most sanding needs. 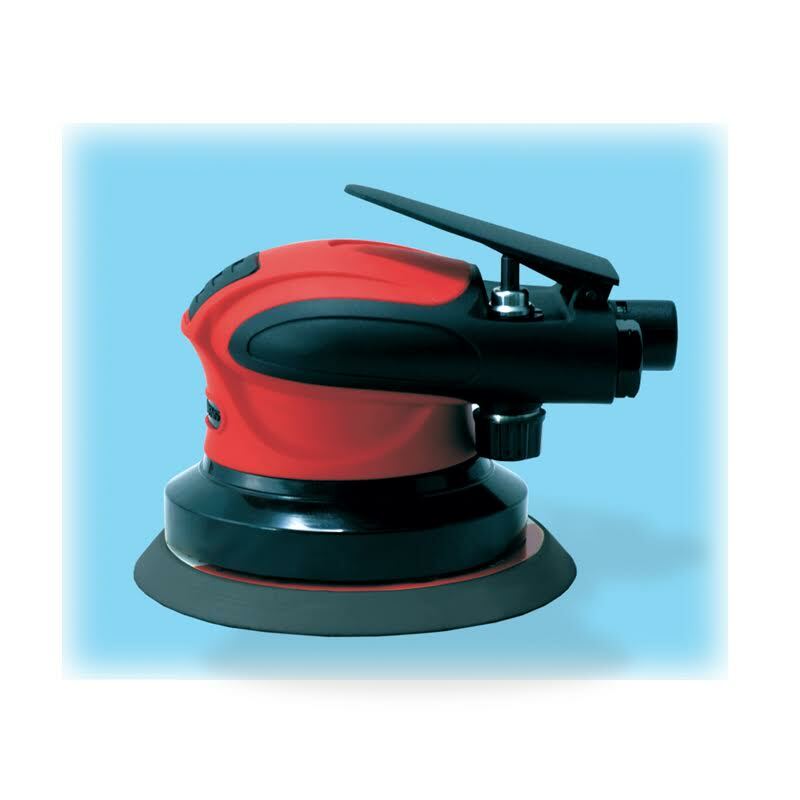 Our sander accepts either 5 inch or 6 inch sanding disks. The streamlined shell is made of a new composite material that is very light weight. Our ergonomic grip offers both comfort and stability. The high (10,000 RPM free) speed reduces the necessary operating time it takes to finish the job. Our sander also has a new sound attenuation system for noise reduction. The tool has a built in regulator and we use a polyoxymethylene (POM) rotor for positive speed control plus low vibration to give you swirl-free finishes. The speed control switch located on the top of the tool helps the operator adjust their work. This is a perfect sanding tool for use in automobile sheet metal coating operations, most surface sanding operations, carpentry work, and furniture production. It can also be used for surface polishing, de-rusting, and the finishing of the metal surfaces. Always run the sander using 90 PSI and make sure your air is clean. This will increase the life of the tool. Proper lubrication is also important in maintaining the tool and extending its life.